The interior is full of light and everything is finished to a high spec meaning this is a great place to sit and look out across the marina. There is a good sized double cabin with ensuite heads and shower. The galley has been newly fitted too and leads up to a brilliant seating/dining area at the stern that also has large windows. 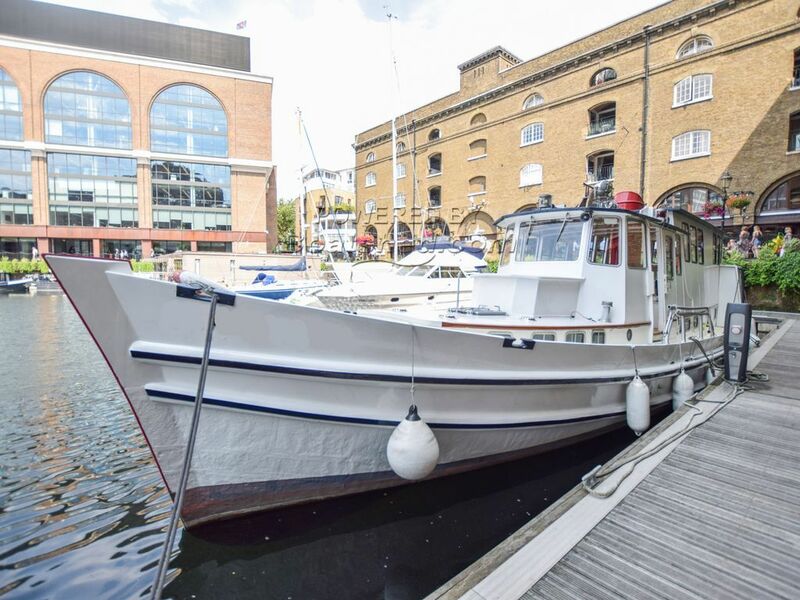 This Admiralty Launch 17m has been personally photographed and viewed by Angus Rose of Boatshed London. Click here for contact details.